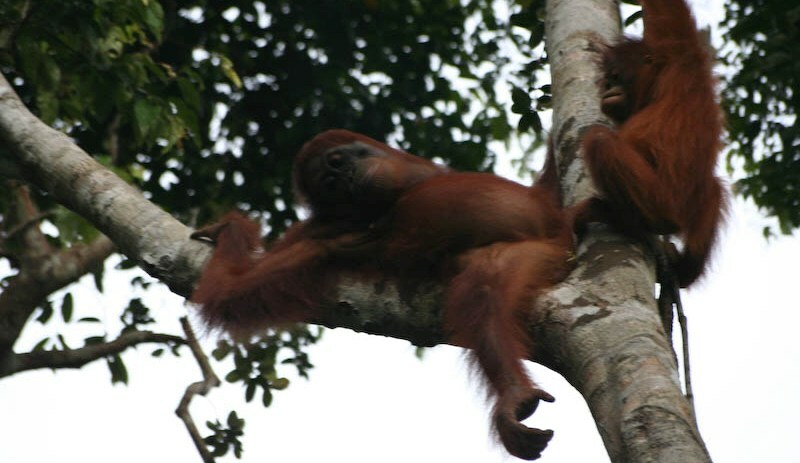 Tanjung Puting National Park is a home of more than just the great apes, other kinds of animals are really easy to find, such as;Orang utans, Bekantan, gibbons, big dragonflies, blue streak of kingfisher. 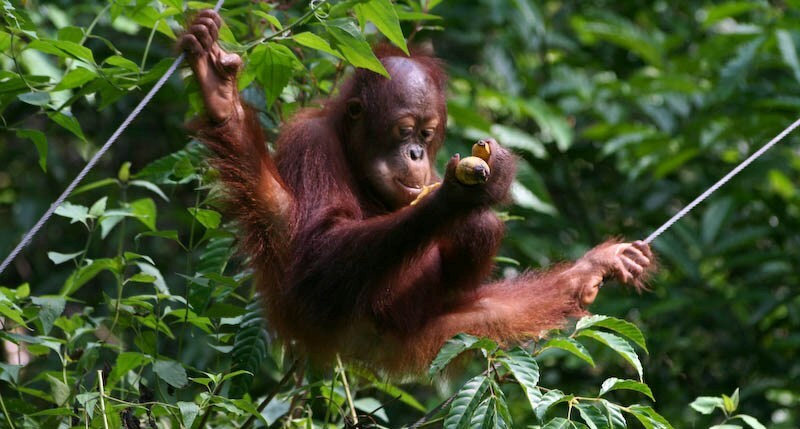 The other interesting animals require patience including; proboscis monkey, crab eating macaques, small crocodiles, wild pig, deer, monitor lizards and hornbill, they show up occasionally. 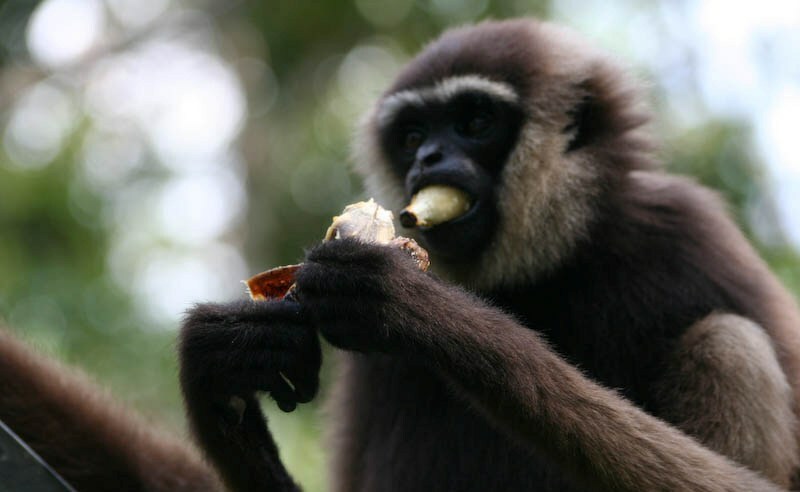 The boating route to the national park is very memorable experience, leading alone the jet black, nipa palm fringed the Sekonyer river, while the black water rich of tannins organic acid and poor of oxygen reflects the sky and trees like a mirror. 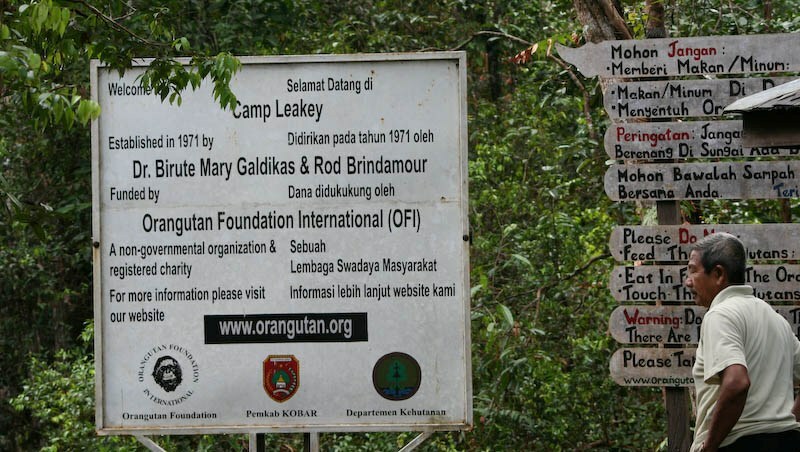 And Tanjung Putting National Park very popular with location for Orang Utans Rehabilitation and Research. 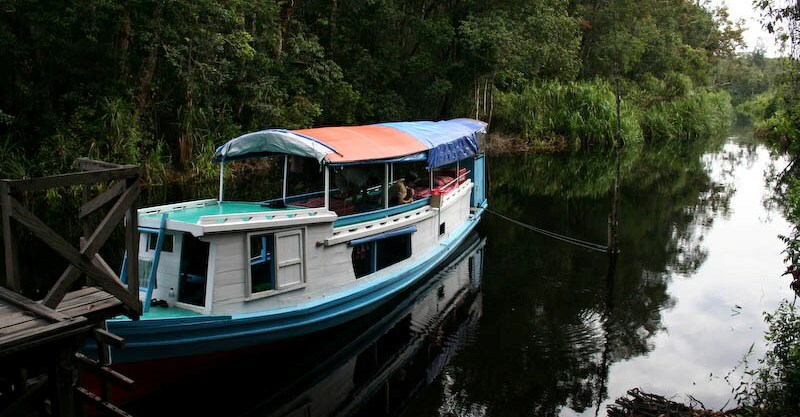 The boat is a traditional Klotok wooden river boat about 8m by 2,5m with a roof which forms the upper deck where you can view the rain forest, with Western Simple Toilet and Mandi also have Mosquito’s Net, Blanket, Bed and Electric with small Engine for Lighting. - Personal Expences, eg Phone, Loundry, Tips.